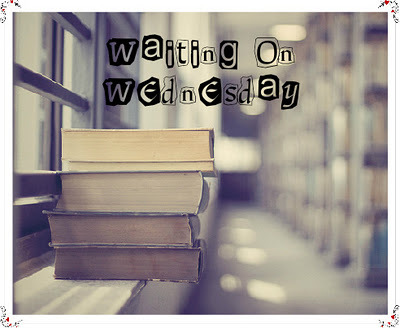 "Waiting On" Wednesday is a weekly event, hosted by Jill at Breaking the Spine, that spotlights upcoming releases that we're salivating for. 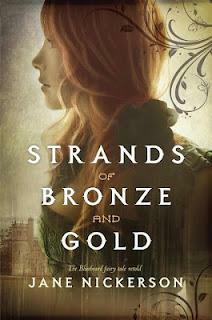 When seventeen-year-old Sophia Petheram's beloved father dies, she receives an unexpected letter. An invitation-on fine ivory paper, in bold black handwriting-from the mysterious Monsieur Bernard de Cressac, her godfather. With no money and fewer options, Sophie accepts, leaving her humble childhood home for the astonishingly lavish Wyndriven Abbey, in the heart of Mississippi. Sophie has always longed for a comfortable life, and she finds herself both attracted to and shocked by the charm and easy manners of her overgenerous guardian. But as she begins to piece together the mystery of his past, it's as if, thread by thread, a silken net is tightening around her. And as she gathers stories and catches whispers of his former wives-all with hair as red as her own-in the forgotten corners of the abbey, Sophie knows she's trapped in the passion and danger of de Cressac's intoxicating world. Glowing strands of romance, mystery, and suspense are woven into this breathtaking debut-a thrilling retelling of the "Bluebeard" fairy tale. Let me know which books you're looking forward to!